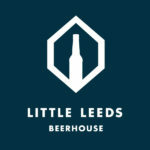 Our latest Flavour of the Month with Little Leeds Beer house is a Christmas Special! 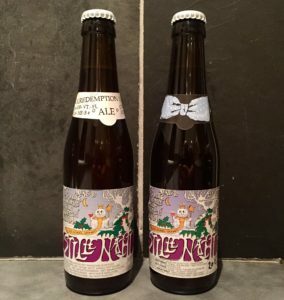 Steve is joined by Hopinions host Martin as we try ‘Stille Nacht’ from De Dolle Brouwers. Not just one bottle, but we’re lucky enough to try the 2016 and 2015 versions. We’d be keen to hear your thoughts and what beer’s you’ll be drinking this Christmas. This show is supported by Richard & Bryony from the Little Leeds Beer House. They’re great folk and they give us this beer for free, but that doesn’t affect our opinions the shop or the beer. If you’re ever in Leeds make sure to pop in, say hi and enjoy a beer in the wonderful surroundings of the Corn Exchange. Extended Christmas opening hours from 1 December – Wednesday until 8pm, Thursday until 9pm & Friday until 8pm.